This is going more in-depth on an old anatomy post where couplers were mentioned. 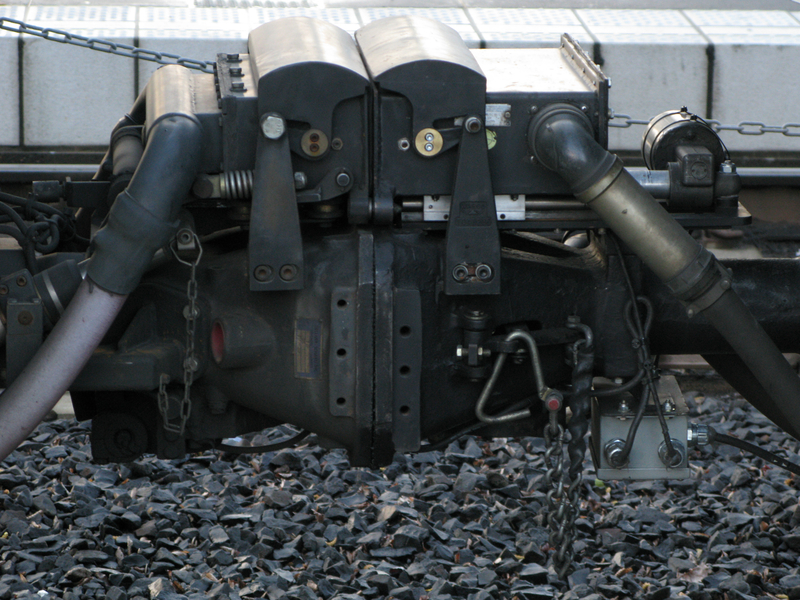 The coupler at the end of each MAX car (with the exception of the A-end of a Type 4) allow for both a mechanical couple and an electrical couple between cars. The mechanical couple is what physically keeps the cars connected, and the electrical couple is what allows the cars to communicate. By design, both a mechanical and electrical couple need to be established in order for the train to move. 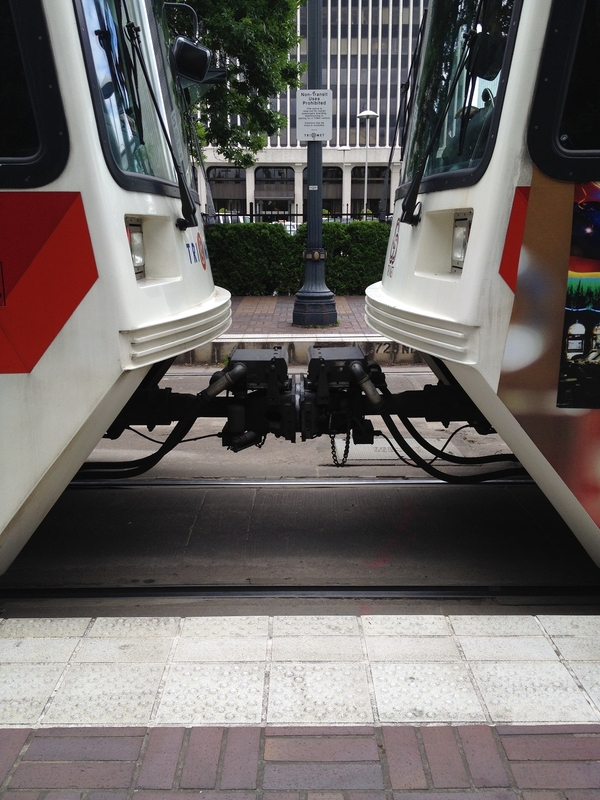 Although the Type 1s, 2s, and 3s are capable of being coupled into consists longer than two cars, MAX trains do not run in longer consists longer than that. There are rare exceptions to this (e.g. getting a disabled train out of the way), and yes, some 20 years ago trains were brought back into the Ruby Yard in longer consists but the length of city blocks downtown and the subsequent design of all the train platforms limit the length of MAX trains to two cars. Note: There are several categories of TriMet employees who are qualified to couple and uncouple cars (operators, supervisors, mechanics, etc) but for simplicity I’m just going to go with “operator” in this post. The coupling process won’t make much sense without describing this first. At the top of the coupler is the electrical coupler head. Under normal conditions, this is either coupled to another train or covered, but occasionally one with the cover up will sneak through ground inspection without being noticed (or alternatively the operator will forget to switch it back after uncoupling cars). There are two positions for the electrical coupler head – electronically isolated and electronically normal. 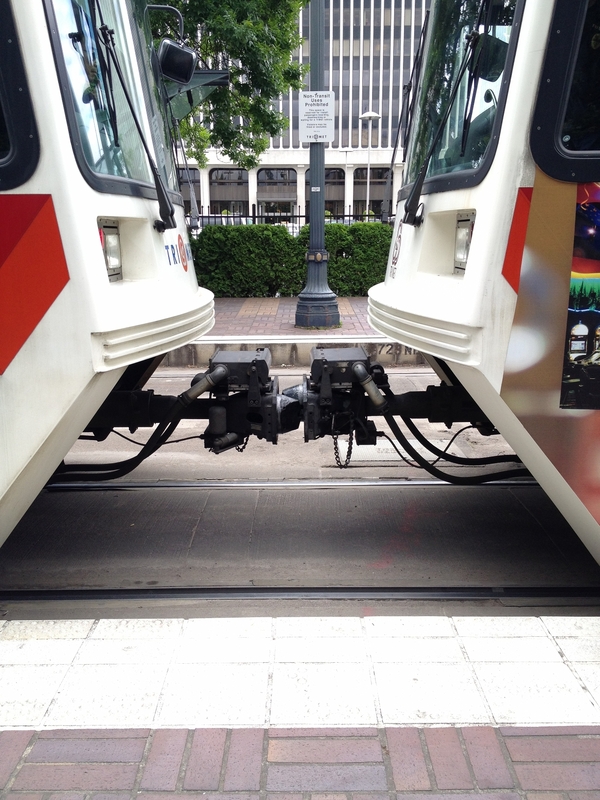 If one or both electrical heads between coupled cars are in the isolate position, there will be no electric communication between the cars. When coupling cars, the first goal is to establish a good mechanical couple, and to do that the car doing the couple will be electronically isolated at the beginning of the process. First, as with just about everything else done with the trains, the operator will get permission from Control before coupling. Next, they’ll do a ground inspection of the car they will be coupling to in order to ensure there aren’t any safety concerns, such as personnel working on or around the car. They will also make sure that the car they are going to couple to is set to electronically normal. 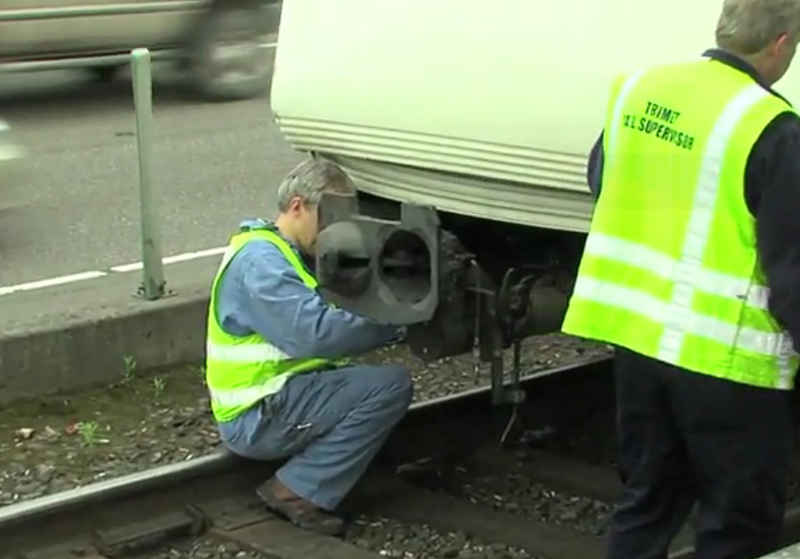 The operator will make three safety stops in the coupling process (because hey, you’re essentially about to drive one train into another train) – the first one car length away from the car being coupled to; the second about 10 feet away, and the third at about 3 feet away to ensure that the couplers of both cars are aligned. Then very slowly, the operator will bring their car forward and couple mechanically to the other car (this happens automatically). The operator will then perform what’s called a “tug test.” As mentioned in the last section, the car that the operator is in is electronically isolated. When there is no electrical communication between the trains, the brakes will apply. In a tug test, the operator remains in the coupled cab and attempts to put the train in reverse and move. 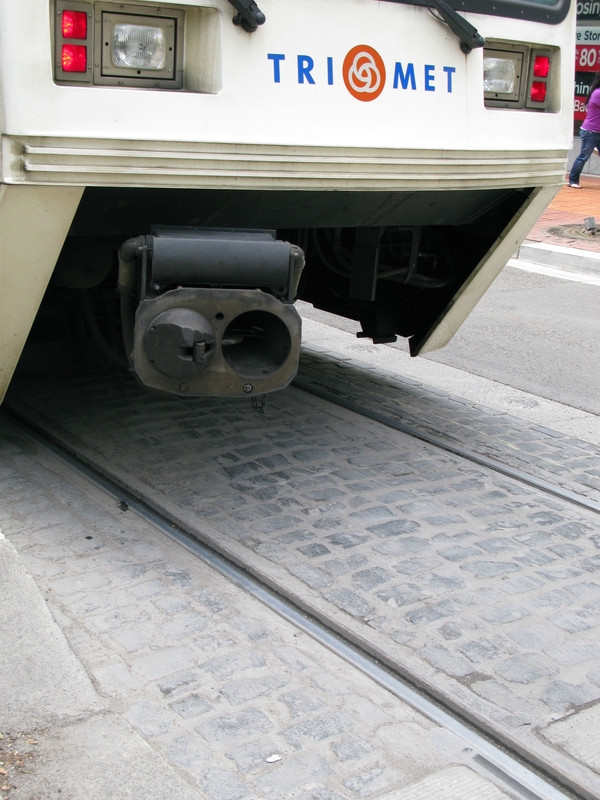 The test is a success if the cars do not move – this shows that the mechanical couple was correctly done because it’s holding the operator’s car (which should otherwise be moving backward) to the car with the brakes applied. If the operator’s train car moves backward, it’s either because the mechanical couple failed and the cars came apart, or the cars were not electrically isolated. A visual inspection of the couplers will also be done. Next is the “trainline test” which is also done from the coupled cab. The operator will now set the car they are in electrically normal (remember that the car they coupled to is also electrically normal). Now there should be communication between the cars, and the easiest way to test this is to open and close the doors. In the yard, this will be done on both sides of the train, and the operator will watch to see that the doors in both cars open. On the mainline, this will only be done on the doors that are on the platform side for safety reasons. If the trainline test is successful, the coupled cars are ready to go. The finished product: Two successfully coupled train cars. 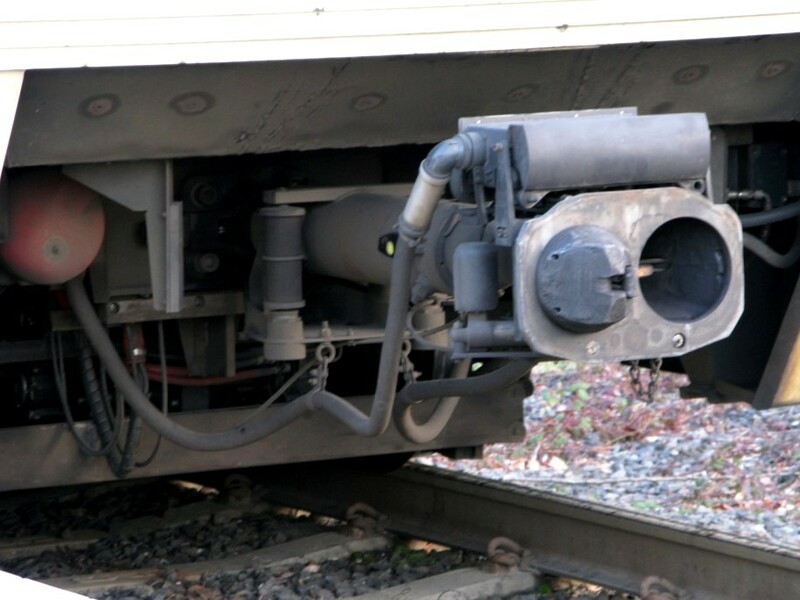 Note how the electrical coupler heads are raised and the covers are on top of the coupler. When the cars are separate, those will slide down over the electrical head. A simpler process – again, always done with permission from Control. 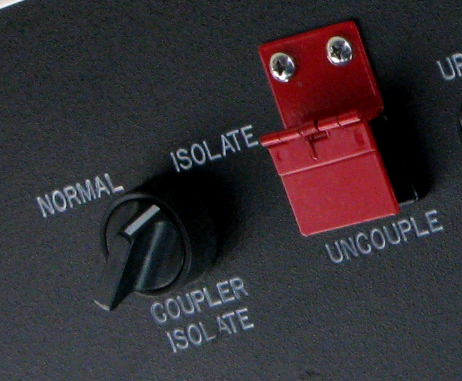 The operator will do a safety inspection and then press the “uncouple” button in the coupled cab (pictured in the first section of this post, it has a cover over it to prevent it from accidentally being pressed). Next the operator will back their car from the other one to separate the mechanical couple. Uncoupling on the mainline is not preferable, but is sometimes necessary in order to cut a bad car and leave a “sportscar” train in service. The exception to this is, of course, the Type 4s, because they can only be fully operated from one end so they can’t be uncoupled on the mainline. The coupling and uncoupling processes above apply to the Type 1s, 2s, and 3s. The 4s are more complicated – as you can see in the above picture, they don’t match the coupler heads of the rest of the fleet. 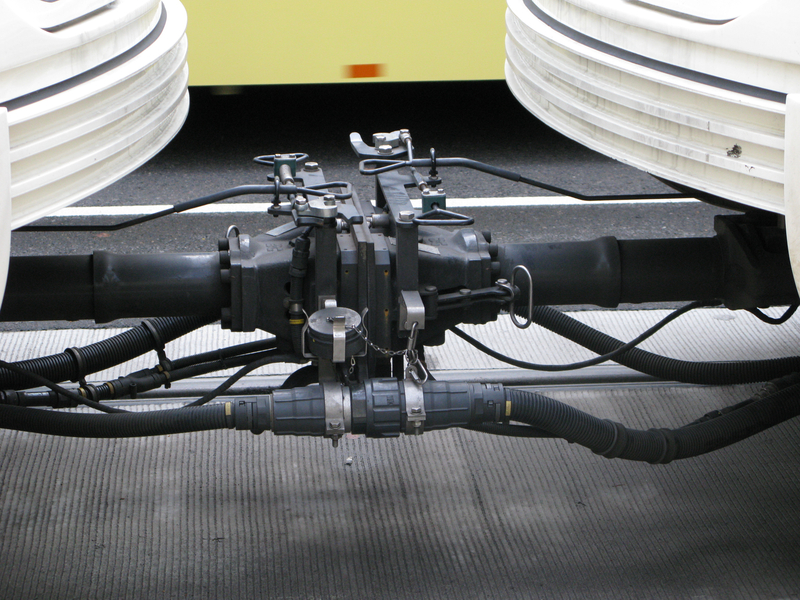 Under each Type 4 cab (the A-end) is a fold-out mechanical coupler head which can be used to mechanically couple a 4 to any other car to be towed or pushed. 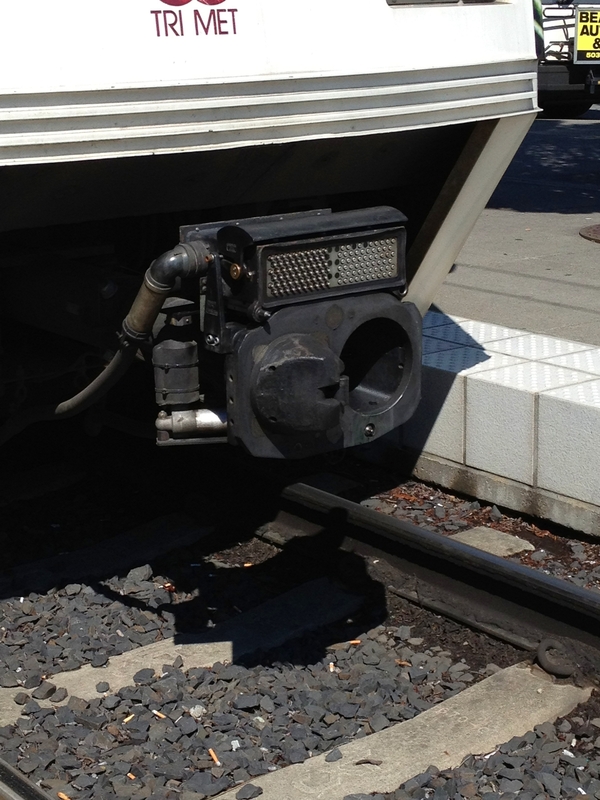 Type 4s can’t be electrically coupled to the other types of cars, and are the only cars that have the step of connecting the canon plugs of the cables on either side of the mechanical coupler head to electrically couple. 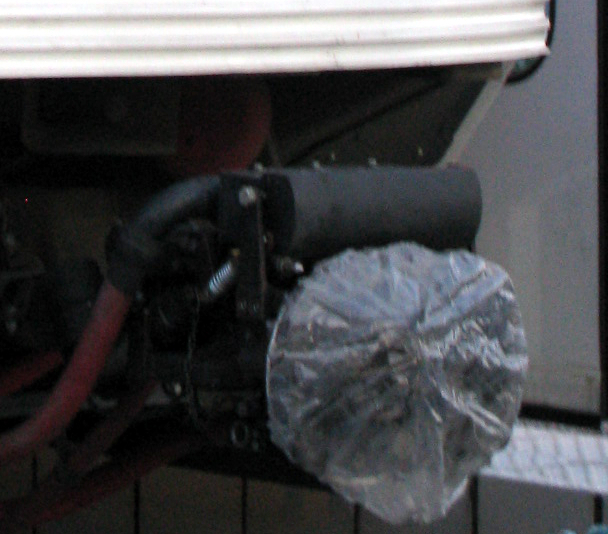 These covers basically work like shower caps and are put over the coupler heads in snow/ice conditions to prevent ice from building up on the couplers. Metal covers used to be used but I don’t remember how long it’s been since they were. Why is a coupler off-center? The coupler heads are designed to be able to bend around curves in the alignment, so if you see a coupler like this, it isn’t broken. They should be straightened out during a ground inspection, but sometimes one gets missed. The operator or a supervisor will move it back into place when they see it. What happens if the train cars come apart? If that were to happen, they stop – the default position for a train car is “stopped” and the loss of electrical communication will apply the brakes in the trailing car, much like how the tug test works. I’ve heard some people are not comfortable riding in the trailing car due to “runaway train” fears if the cars separate, but the purpose of the tests done after coupling is to ensure that that doesn’t happen, so this isn’t something passengers need to worry about. Today I learned: The more you write the word “coupler,” the weirder it looks.